These are just a few of the reasons the Bentley Scottsdale Polo Championships have been recognized as “the best polo event in the world” and have become the most attended in the United States. It’s less than 3 weeks away. Get your favorite tickets, tents and tables today at ThePoloParty.com. 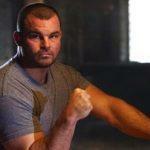 *Beauty & The Beast: Watch the world’s greatest arm wrestler, Travis Bagent (as seen on ESPN), take on fellow arm wrestlers and perhaps even you, if you’re brave enough. *Savor the unusual culinary combo of fried chicken and champagne at Fried & Fizzy, a new pop-up restaurant with acclaimed Valley chef Michael DeMaria. *Don’t miss church on Sunday thanks to a first-time, field-side service by Chuch Alive, an innovative and inclusive new Scottsdale congregation. *Enjoy the beach, at polo. For the first time sand will be imported for the all-new Sandbar Tent. *Jazz, Opera, and even Shakespeare will be a part of the cultural offerings and performance on Saturday, November 11th. *The Bird’s Nest of polo returns bigger than ever thanks to the all-new Bottled Blonde Polo Lounge Presented by Stella Artois. Still field-side it’s increased in size and will have bottle service for the first time to help enjoy the energetic atmosphere, dancing and DJs even more. *Witness Mike Azzaro, perhaps the most accomplished American polo player of all time and member of the sport’s Hall of Fame. This will be his first visit to Scottsdale. *Fan favorites will return such as the Canine Couture: A Dog Fashion Show Like No Other and the World’s Longest Catwalk Fashion Show by Phoenix Fashion Week. *Perhaps the most unusual seats of all this year will be provided by Dirck’s Moving & Logistic. 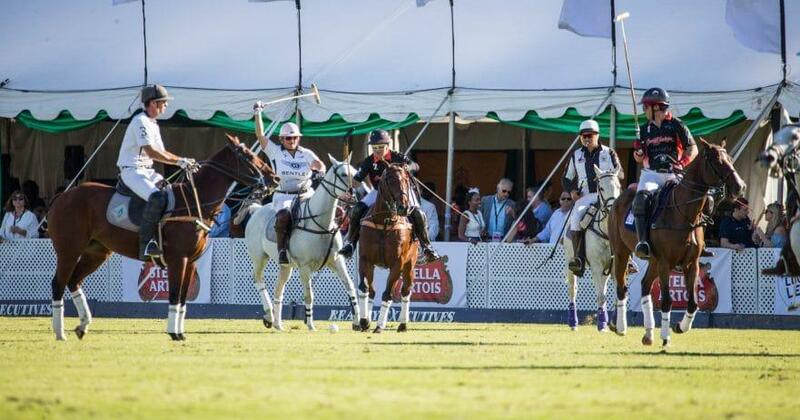 Their large trucks will beopened up for seating like no other for a polo event. *But perhaps the most beautiful views will be from the two-story Talking Stick Resort & Casino Skybox. And we may have a few other surprises before it’s all over. Be a part of the next greatest show on grass. 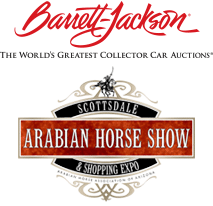 November 11th and 12th at WestWorld of Scottsdale. All tickets and details at ThePoloParty.com.